Building a healthy marketing funnel is a defining characteristic of any successful online business. In this article, we’ll cover the basic model and the role it plays in understanding and growing your eCommerce business. Marketing is a very holistic pursuit that encompasses the entire funnel above (and can be broken down even further). By example, if your business is looking to improve conversion rates it’s important to make sure that your acquisition strategy is driving qualified new visitors to your website. The most important objective for any online business is to transfer browsing traffic into paying and returning customers. Understanding and using the marketing funnel in your day-to-day operations is an easy way to track sales and meet goals. Prospecting, often called acquisition, is responsible for generating overall brand awareness and driving customers to your website. The goal being to introduce your business or products to new, qualified customers. Poln’s services are focused entirely on feeding the top of your funnel as creating brand awareness and driving high-quality prospects are often times the top challenges for online businesses. With display and keyword advertising, larger companies pretty much have a stranglehold on new user acquisition because they are able to outbid smaller companies for ad space due to their deep pockets. Poln’s pre-targeting product addresses these issues using real-time browsing analytics to serve your ads to consumers who are specifically interested in the types of products you’re selling. What this means for your business is you’re now able to receive a highly qualified flow of new, unique traffic to your website at a much lower cost. Without the flow of qualified traffic to your site, conversion and retention become increasingly challenging. Feed the top of your funnel properly and the rest of your funnel will thank you! An online conversion takes place when a customer either directly buys a product you’re selling or performs the action that you want them to take. Retargeting is a critical component of your marketing funnel. It allows you to capture the attention of prospects that visit your site and leave without making a purchase. As we all know, 100% of site visitors don’t convert on their first visit. In fact, most do not. Retargeting is simple and effective by re-engaging these visitors over social and display networks by showing them the products they previously viewed (but did not purchase). This is a great way to increase your conversion rates and, when used in tandem with a strong prospecting platform like Poln, can really increase your ROAS. If you’ve got retargeting set up and are converting a high percentage of your customers, think about using exit intent popups. Apps like Sumo Me aim at serving customers ads and incentives before they abandon your page, in turn helping you convert your current website traffic. After focusing your efforts on building a strong acquisition and conversion strategy, the next step is to build brand loyalty and customer retention. This stage is usually the focus of more mature businesses that are looking to grow their revenue from their existing customer list. Email is a great way to communicate with your customer and keep your brand top of mind. Services like Mailchimp and Constant Contact are simple to use and have great robust feature-sets that allow you to A/B test your campaigns and track your email performance. Retention is also a great phase to offer product upsells and cross-promotion of other products in your catalog. Apps like Product Upsell can help you achieve these sales goals and retain more buying customers. 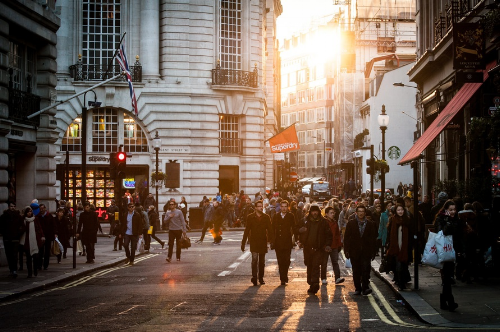 Social interaction with customers is another great way to stay top of mind with your followers. Facebook, Instagram, Pinterest and Twitter are essentially a given these days. Focus on the networks that resonate with your audience and post regularly. These channels are amazing for sharing your story and showing your personality. Social media is viewed as the second-most effective digital marketing tactic for customer retention purposes, behind only email. 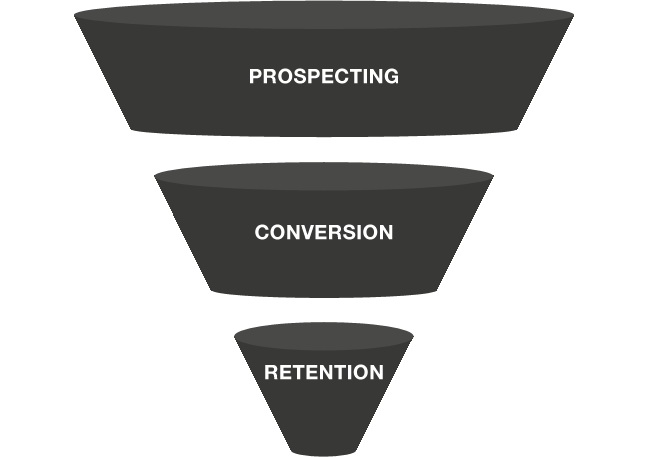 The marketing funnel enables you to visually display your sales pipeline and where customers are in your sales process. We are all playing in an attention economy where all products are infinitely abundant and immediately available, so to stay ahead of the curve, it’s important to spend some time thinking about your funnel and paying attention to these three areas.